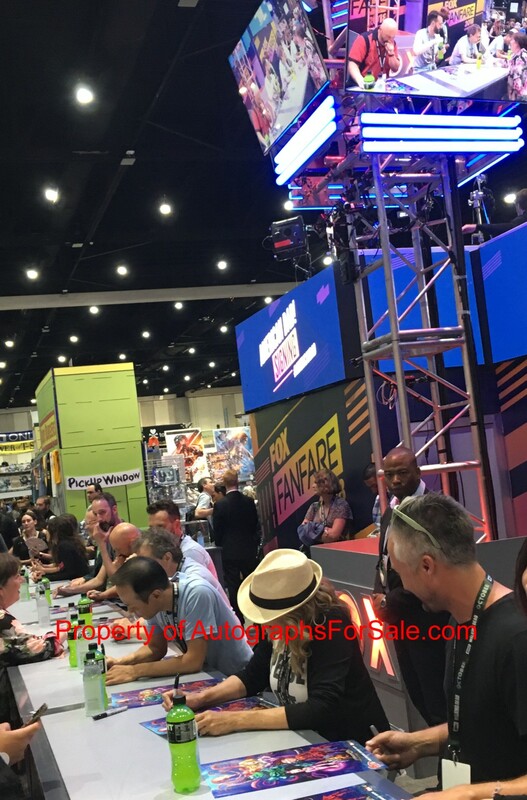 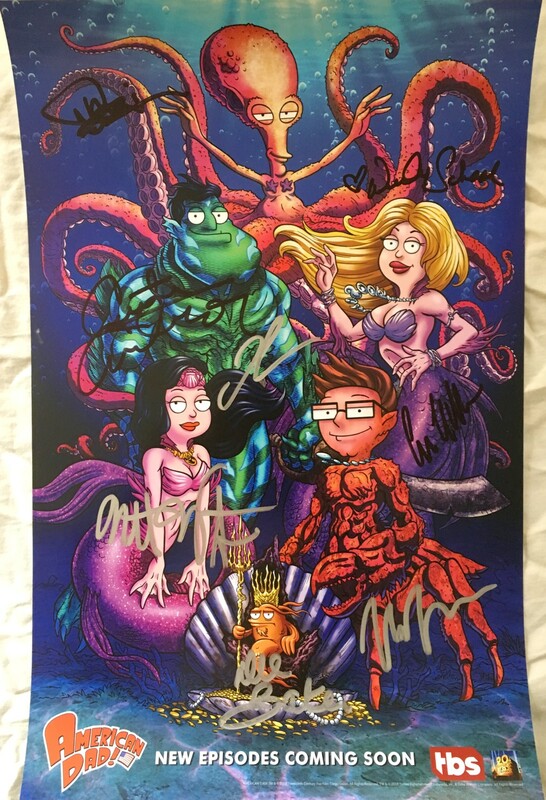 American Dad 2018 San Diego Comic-Con 11 by 17 inch poster autographed in black or silver marker by stars Wendy Schaal, Dee Bradley Baker, Curtis Armstrong, Eddie Kaye Thomas, Daisuke Suzuki plus producers/writers Matt Weitzman and Joe Chandler for a total of 8 signatures. Obtained at very limited 2018 San Diego Comic-Con signing, with photo from the signing and certificate of authenticity from AutographsForSale.com. 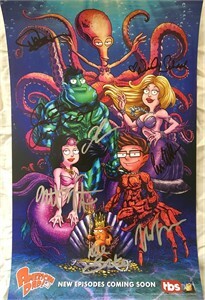 SIGNATURES MAY VARY SLIGHTLY AS WE OBTAINED MULTIPLE POSTERS FROM THIS SIGNING.